The aviation event of the year starts on Sunday, look forward to seeing you then! The final programme for our events is attached, which contains all details on what is happening where and when, so make sure you bring it with you. It’s going to be a great few days!...Don’t miss it! Many thanks to our sponsors, members and stakeholders for your support. If you have not yet registered for Conference and the Gala Awards Dinner, please do so as soon as possible. The Gala Awards Dinner is a black tie event, so we look forward to seeing you in your finery. By order of our AAA Chairman “All those with gongs are requested to wear them at the Gala awards dinner. No exceptions. By order of Royal Command!!!! Dress code is black tie, smart suit acceptable. No jeans , thongs or smelly weedspray outfits”. You are on notice! Unfortunately, we can’t admit you if you have not paid - we will have EFTPOS on the door if needed. Unbelievably tragic news from Europe overnight, how does this even happen? As we come together this weekend, we will celebrate what we have achieved as an industry, but also how we can do things better in future. Clearly, there is always scope to learn. We look forward to seeing you in Wellington this weekend, travel safe. We look forward to seeing you in Wellington soon. As you may know, Wellington lays claim to being New Zealand’s coffee and culinary capital. This year, we are delighted to offer a unique Partner programme alongside Conference. 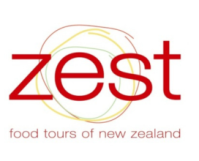 Zest Food Tours was voted one of the world’s top ten walking tours for globetrotting foodies by Lonely Planet in 2013. The personal Zest touch adds spice as we cook up unique, fun and tasty treats. Our experienced, knowledgeable and entertaining gourmet guides take guests behind the scenes, to introduce new tastes, local food and wine heroes, and to places that are hard to find alone. For more details and to book please see the attached document. Please note bookings must be made by Friday 18 July and the maximum group size is 20. We are delighted to release the full programme for the Summit. This annual event is hosted by Aviation NZ as part of our mission to lead, inspire, and grow the New Zealand aviation industry, both domestically and offshore. 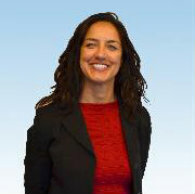 The Summit is a by industry and for industry event. We aim to bring you a programme that is insightful, relevant, and engaging. At the same time our aim is to manage costs and overall resource requirements, so that we can offer industry a truly inspiring and cost-effective flagship industry event. Our first Aviation Leadership Summit will be held at Westpac Stadium in Wellington 20-22 July 2014. We will have EXCLUSIVE use of the Westpac Function Centre and we have a BRAND NEW venue for our Welcome Reception, opened by the Prime Minister recently. Westpac Stadium is New Zealand’s premier multipurpose stadium and has hosted many world sporting and entertainment events. The Summit replaces Napier Conference Week. Celebrating 100 years of aviation – The Future. This is the theme of our Summit. We will celebrate what aviation has achieved over the last 100 years and look forward to what the next century will bring, operationally, technologically, economically and politically. Registration is NOW OPEN for exhibitors and delegates. Exhibition stands are selling quickly. We expect up to 300 people expected to attend the trade show each day and we will be ensuring active engagement between delegates and trade exhibitors. More about this soon! Sponsors: Our new sponsorship packages are available here. A number of sponsors have already reserved packages, so contact us soon regarding remaining opportunities. Accommodation: Our preferred hotels are Rydges Wellington and the IBIS Hotel Wellington. We have negotiated excellent discounts on rooms and breakfast for Summit attendees. Special rates apply for 20-23 July and rooms are limited, so please book as soon as possible. Both hotels are located in central Wellington on Featherston St, close to the Westpac Stadium and close to each other. We will also be arranging transport to Westpac Stadium for each day of the Summit and related events. For this year’s Summit, and recognising the number of smartphone users who will be there, the programme, details of exhibitors and the very important sponsors will be on an app which you can all download. You’ll be able to keep up to date with happenings at the Summit, and see where you are supposed to be at any point in time (during work hours that is!). Advert Media is putting this app together. Details of what is available and how to be included in the app are here. To ‘Sign up’ enter your own user name and password. Next time you access the conference app simply ‘log in’ using your chosen user name and password & select the “remember this for 4 weeks” option. More detail is attached. Companies interested in attending should contact Sam Kanthimathi direct. Be aware that it won’t be possible for the same company reps to attend the Leadership Summit and Fatigue Management courses. You might look at delegating attendance at Fatigue Management to others. In recent weeks, we’ve included details of RFTs issued on the Government Electronic Tenders Service (GETS), primarily on behalf of DoC. Last week, another tender appeared: ‘CAI (Canterbury Aerial Imagery) Consortium 2014-2015’ seeking tenders for the capture and supply of colour digital orthorectified imagery to the Canterbury Aerial Imagery (CAI) consortium from suitably qualified and experienced service providers of the Hurunui and Kaikoura regions within the 2014-2015 flying season. GETS reference 42826, bids close 11 August – contact scott.linton@hurunui.govt.nz for details. A reminder: the GETS website which carries tenders for government work is being redesigned. The new GETS website will go live on 28 July. If you’re registered to receive tender notifications from GETS, you need to pre-register for the new GETS. This is important because if you are not pre-registered, you will not receive your automatic GETS updates when the new website goes live. New GETS is now available for pre-registration. There will be thousands of fans travelling across the country to support their team – but also keen to have a New Zealand experience. Are you thinking about what kind of charter packages you could offer to these high net worth and other visitors? There’s a great business opportunity here. Over 1 million expected attendees and 1 billion TV viewers. 14 teams will be playing 49 matches over 44 days in 14 host cities across two countries. There are seven NZ host cities: Auckland, Hamilton, Napier, Wellington, Nelson, Christchurch and Dunedin. The opening game is in Christchurch, as well as a quarter and semi-final and the showcase NZ - Australia match in Auckland. 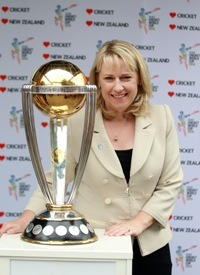 Have a look at the match schedules so you can see where people will be and when http://www.icc-cricket.com/cricket-world-cup/fixtures . 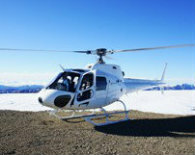 We are working with CWC NZ to create opportunities for NZ aviation to promote its products and services. More on this soon. 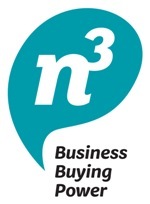 New Zealand companies can attend and showcase their technologies or services at the next P3 IOSC in Atlanta, Georgia. This conference is co-hosted annually by Lockheed Martin and an international operator country. This year it is New Zealand and the NZ Defence Force’s turn. There is an industry expo throughout, a number of networking opportunities and New Zealand will host a function to showcase our technology, culture and cuisine. NZTE is supporting the NZ presence. For more info, contact: richard.harrison@icn.govt.nz .